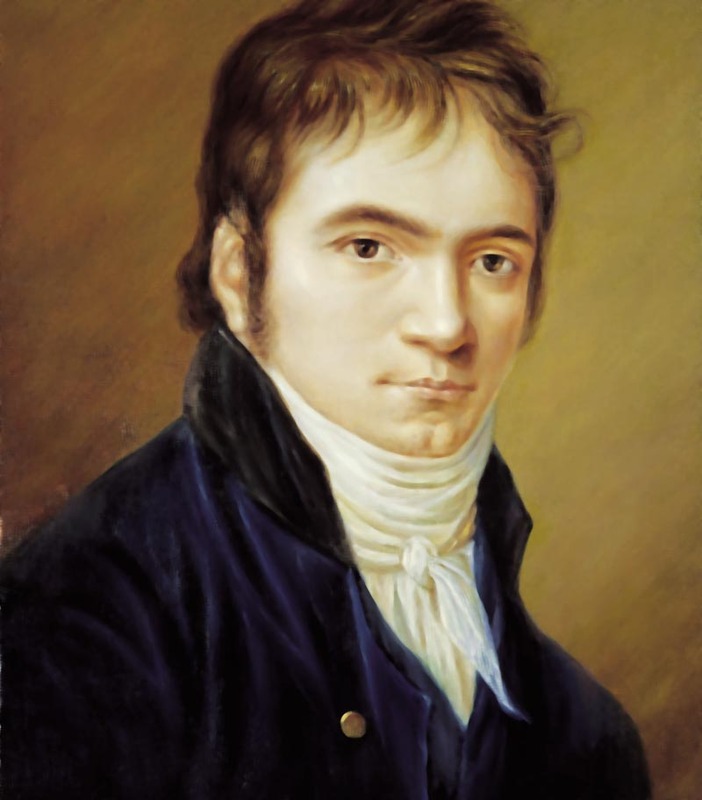 Beethoven's Symphony No.1 was first performed in 1800 AD when the composer was twenty-nine. Something which no analyst has ever failed to observe is that despite being " in accordance with the established composing tradition", the symphony starts, as if, "in the 'wrong' key... so that the listener only gradually realizes the real key (or home key) of the symphony." (See Wikipedia). The point is too peculiar to be ignored but is usually interpreted with reference to the composer's personality, such as that "Beethoven introduced himself with this work uniquely and boldly as an advancing symphonic composer and stood true to this statement throughout his compositional life." (See Wikipedia). Can we not dwell just a little bit more on this point (and the symphony which follows) as a tool for contemplating on the nature of human thought (the subject of Iqbal's first question) through the medium of music without words? Oh, I missed this starting post in your series. I'm no expert in music (can hardly even say I'm a beginner) but this is very interesting link between Iqbal's first question and Beethoven's first symphony. As the music technically starts on the wrong key, it takes bit of deliberate thinking on the part of the listener to see what Beethoven has done. And yet, since this is a creative piece of art, Beethoven's decision to depart from the norm is obviously an intuitive, more than a purely intellectual, decision. I love this poetic line best: "...both the river and the staff of Moses"
This metaphor is striking and feels so true: "On account of which the river is divided..."
I have recently read an expert who seeks to help people with depression and anger who says that dancing frees the mind & frees the owner of the mind to walk in more peace and less anger/depression. I am supposing this means the highest forms of dance/music? Yes, the truest artist must invent, originate, lead, speak from the heart. The other day in a wise gathering a wise participant spoke to one who was troubled by memory issues of the mind that "the heart remembers where the mind does not" -- which quickly brought tears of recognition...so as Iqbal practiced and led with his art and other writings, we do well as we nurture our heart in all things. I look forward to hearing Beethoven's work offered here soon & recall hearing it recently with deep awe.